The latest Australian branch newsletter is available here. The earlier 2018 AGM report is here. Enclosed is the history of Elisabeth Mattie Chisholm (1879-1958). Her full story can be found here. Carolyn Chown will be pleased to assist anyone who would like to publish a similar story in our newsletter. Carolyn can be contacted by email here. 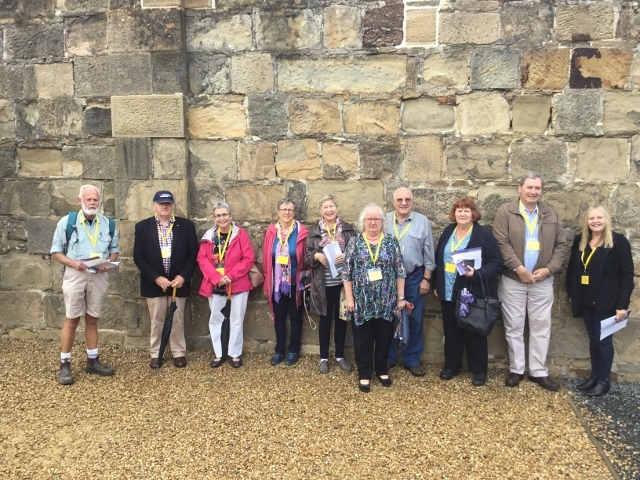 In March 2018 several members of Clan Chisholm Australia Branch travelled to Tasmania to attend our Annual General Meeting. 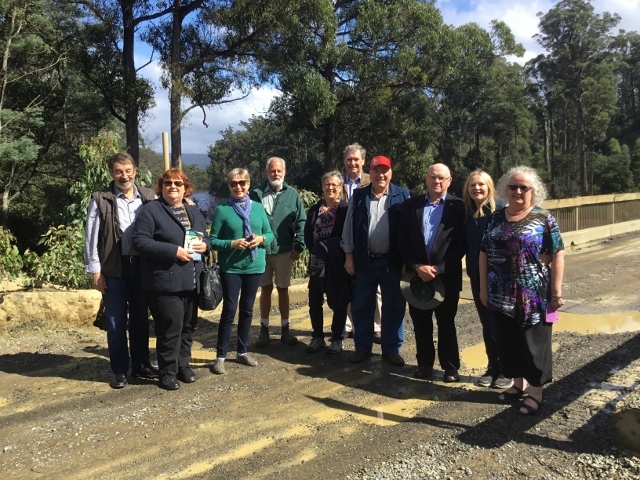 We assembled in the north of the State initially and then travelled south exploring the Midlands area, Campbell Town, Ross, Richmond, Hobart, Cascades, Bruny Island and the Huon. Whilst in the Huon we visited Tahune Adventures where we explored the wilderness and walked among the giants of the forest. It was great to see and touch the ancient Huon pines which are Tasmania's oldest living tree and known to have reached about 3000 years of age. It is possibly the world's oldest living tree. Whilst we were at the Cascades Female Factory near Hobart we learned that a Scottish girl called Catherine Chisholm from Merkinch, Inverness had been incarcerated there in the 1850s. A story about her life is included in the 2019 Clan Chisholm Society Australia Branch newsletter (Jan 2019) on this site. A new book has been published telling the rags-to-riches story of James Chisholm (1772-1837). The Clan Chisholm Society started in Australia in 1954. Miriam Chisholm, of "Kippilaw", Goulburn, NSW was the founder of the society here, having joined the Society in Scotland. She organised the first meeting in May 1954 in Sydney with Professor Alan Rowland Chisholm elected as the first president. A Victorian branch was formed later and later again amalgamated with the NSW branch. Our clan has had many get-togethers over the years and meets annually for its AGM. For some years now this has been in March of each year. We tend to alternate our meetings between NSW and Victoria, often meeting at Goulburn, south west of Sydney, where the first Chisholm settler pioneered a sheep property in the 1830s. Many members, including Miriam Chisholm, are descendants of James Chisholm, the patriarch of this family who arrived at Sydney Town in 1790 as a military officer just two years after the initial British settlement. Some highlights in the life of the Society in Australia have been the building of a cairn of stones from Chisholm connections all over the world. The first dedication was in 1963, and the cairn was finally completed and re-dedicated in 2002. Another highlight was the launch of a book "The Clan Chisholm in Australia 1790-1990" in 1990. Celebrating 200 years of Chisholms in Australia, many Australian Chisholms submitted stories of their family?s emigration and settlement in this country. The launch was held at "Gledswood", Narellan, NSW, on the outskirts of Sydney. This property was also one of the original farms of the first Chisholm settler (James Chisholm), comprising a beautiful old homestead, garden and farm (now a vineyard).